Essential Property Maintenance is a full service landscaping and gardening contractor based out of Calgary, Alberta. 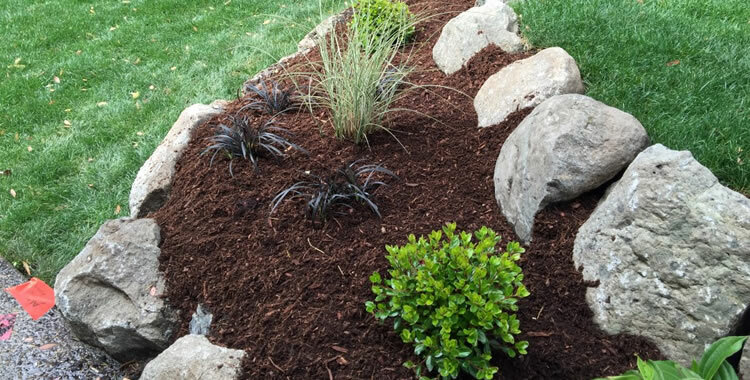 We specialize in the design and construction of new gardens and garden beds for residential and commercial properties, condo associations, town home associations and homeowner associations. From helping you choose the perfect plants and flowers to the final construction and even on-going maintenance of your new garden, Essential Property Maintenance can help. Schedule Your FREE Calgary Garden Construction Estimate Today! Spring and summer in Calgary always brings with it a colorful, vibrant display of beautiful gardens on both residential and commercial properties alike. Designing, building and maintaining a great looking garden doesn’t just happen by chance. It’s a lot of work to create and maintain a beautiful flower garden and if you’re looking for a team of pros to handle it for you, the professionals at Essential Property Maintenance are just the right team for you. No project is too big or too small. We estimate your costs upfront, for free. Going into a garden construction project with Essential Property Maintenance is a breeze – you can be sure the results of our work reflect exactly as you envisioned your garden would look. You can book our garden construction services with confidence. We’ve built and planted dozens and dozens of gardens throughout Calgary for our commercial and residential clients over the years. It’s the care and meticulous prep work we do that contributes to the beautiful results we’re able to achieve. We show up on the scheduled days and build, plant and maintain your garden as promised.